The first alien race to hit Earth will look like a mix between a bug and a crawfish, according to District 9 producer Peter Jackson–who also directed Lord of the Rings. This movie contains more than your average alien invasion plot line, however, referencing a real life situation in South African racial politics. 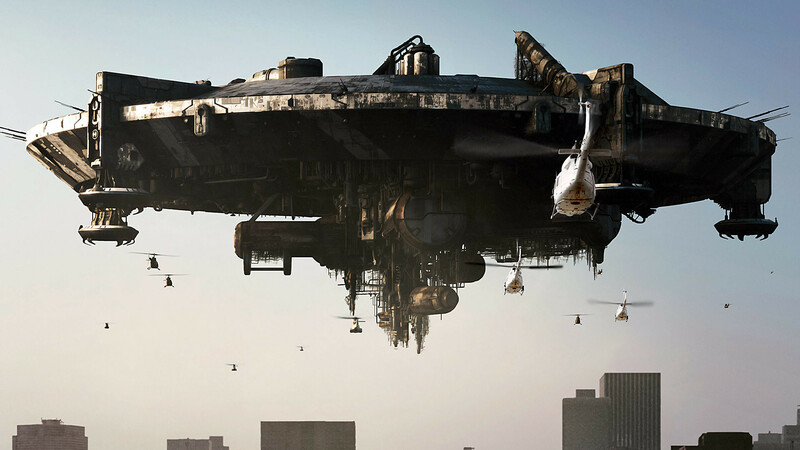 A massive alien spaceship touches down in Johannesburg, and 20 years after the incident a documentary captures efforts to evict millions of aliens housed in a slum called District 9, blocked off from all other areas of human life. Unhappy with the off-putting aliens–one person who is interviewed in this mockumentary describes her disgust with the government’s investment in minimal provisions for the aliens–a bureaucrat named Wikus van der Merwe is elected to “move” them to a new development further away from the human population. 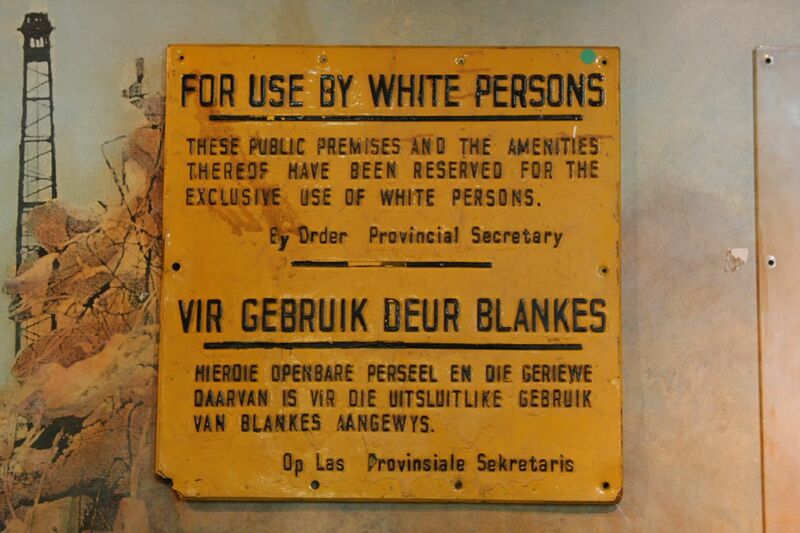 District 9 uncannily resembles South Africa’s “District Six” in the apartheid era, which was a residential area in Capetown designed for racial segregation as a “whites-only” neighbourhood. People of colour who lived in the area had their businesses and homes bulldozed and relocated 25 km away, with understandable resistance. The film speaks to this event in history while simultaneously acting as a broader critique for the ways in which immigrant populations are treated in wealthy countries. The alien creatures are portrayed as extremely grotesque and as a result, people do not have any empathetic concern for the ethical treatment of them as living beings–human or not. My own personal reaction to the “prawns”, as these aliens are called, was one of slight disgust. “Why are they acting so barbaric?” I asked my boyfriend with a crunched face as the aliens dug around in garbage pit inside their compound. “Shh, they’re looking for something!” he replied, annoyed at my inability to stay still and keep quiet during movies. And indeed they were looking for something important, crucial to the movie’s plot line: jet fuel to get their broken down space ship up and running again. For 20 years the main alien character, Christopher Johnson, has been searching for fuel to get his population of alien friends back to their planet. His plans are almost complete, save for intervention on Wikus’ end. And the irony here is that just as Wikus confiscates the vial of jet fuel during his eviction notice rounds in District 9, he accidentally sprays it on himself and later grows an alien claw-like arm. Wikus’ father-in-law is in charge of security operations in the effort to evict the aliens and is the one who promotes Wikus as the one in charge of the task-force. As soon as he finds out Wikus is infected, he is the first one to lie about the circumstances of his metamorphosis. He tells the public that Wikus’ “obsession” with District 9 has led him to have sexual relations with the alien population which is forcing him now to mutate into an alien creature himself. Despite his protests, Wikus is exploited as a human science experiment as researchers are attempting to harvest his organs. He uses his now super human strength to escape the hospital that is supposed to be healing him to flee to the only place that will conceal him: District 9. It is here that Wikus encounters Christopher Johnson & his cute little alien son, whom he discovers are actually quite intelligent and have good intentions despite their rough exterior. Wikus only now sees the difficulties this population faces once he is separated from his wife, and realizes that they are not so unlike him. The film uses the theme of disgust to link future nation building as a justification for evicting the aliens. According to feminist author Sara Ahmed, politics of emotion enable people to express disgust as a “self-protective recoil” that allow people to physically separate themselves from others, and we see this directly in District 9. The aliens are depicted as bug-like and a squash-able nuisance. There’s so much to pick apart in this film and it definitely speaks to a wider phenomenon of discrimination and social expulsion that has been historically problematic and still continues on to this day. 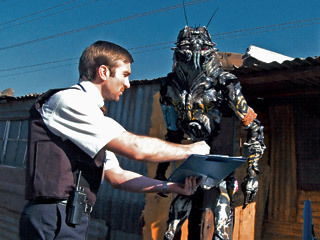 District 9 ultimately gives us a glimpse into the subtle ways in which we continue marginalize immigrant populations with historically relevant metaphors. This entry was posted in Critical Perspective, Pop Culture Commentary and tagged district 9, Movies, politics, Pop Culture, Racism, Review, Social Justice, society, south africa. Bookmark the permalink.